Custom event gazebo is made of 600D oxford fabric, waterproof, UV protected and fire retardant polyester, offering a choice of many colors. 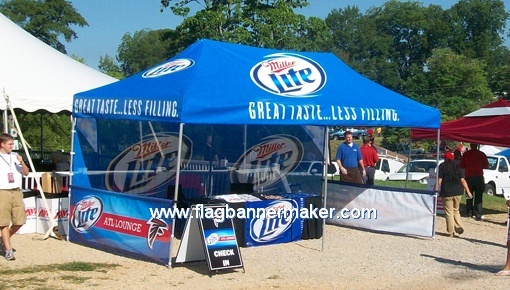 The tent can be printed in silk-screen or digital print. Velcro strap for tight material assembly. Light and tuff aluminum or steel structure with ultra-resistant patented polymer mechanism, retractable arm with automatic tension & adjustable legs, for a fast & effortless installation keeping the top nice & tight.